This 39 mm diameter coin is much larger than both USA quarter (24.26 mm in diameter) and USA half dollar (30.61 mm in diameter). 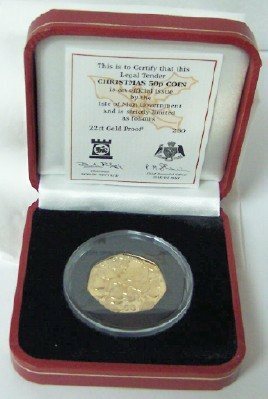 Add this Maui Trade dollar to your collection or gift it to start a coin collection for your child/grandchild! 1- It is the first Maui Trade Dollar that features a human, rather than just an animal in the design. 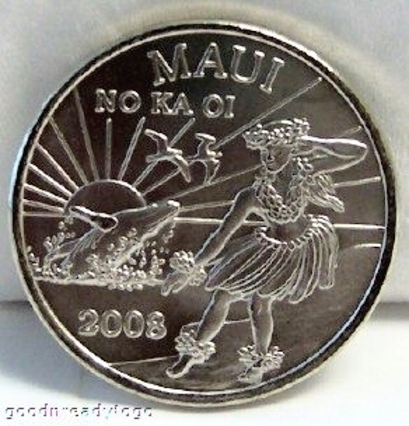 The coin pictures a hula dancer. Two birds fly overhead and a whale leaps from the ocean in the background. 2- Due to the falling value of the dollar, the face value of the Maui Trade Dollar became Two Dollars, rather than One Dollar as were previous issues. Each year, the Maui Chamber of Commerce issued a trade dollar that is good in trade at participating merchants throughout the island during the year of issue. Purchasers kept most of the coins as souvenirs rather than turning them in for redemption at the end of the year. This helped raise funds for educational projects on the island. Over the years the series became increasing popular with collectors. Maui, the second largest of the Hawaiian Islands has long been popular with tourists. Because of its gorgeous scenery, beautiful tropical beaches and numerous cultural activities it is a favorite travel destination. All photos in this listing are enlarged to show details. Pardon reflections in photos due to coin being highly reflective — you can see camera lens reflected on coin. 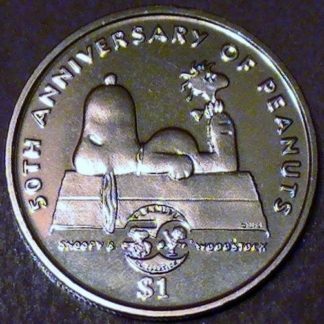 Also coin may have superficial scratches and/or minor wear of finish and/or nicks from way the mint stacks these coins. Furthermore coin may have minor spotting and/or toning and/or oxidation. The coin has a two dollar face value. 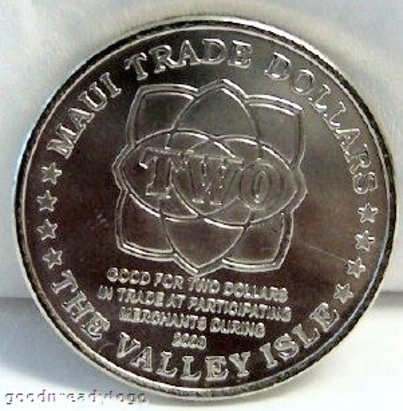 The back reads “Maui Trade Dollars, The Valley Isle, Good for two dollars in trade at participating merchants during 2008”. 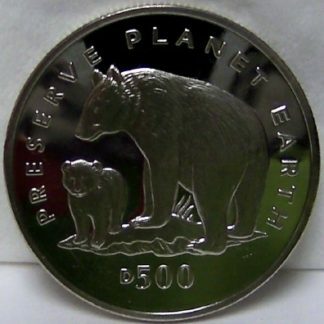 The diameter of this uncirculated coin is 39 mm. 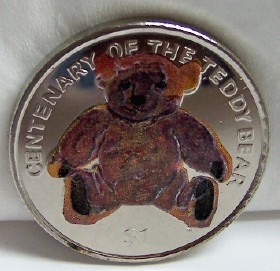 The mint struck this coin in copper-nickel.